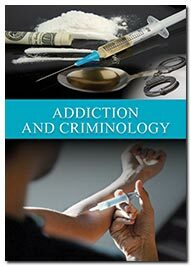 Addiction & Criminology is an international open access journal that publishes peer-reviewed scholary articles on all the areas of addiction which provokes crime. Its goal is to serve international scientific and clinical communities, to strengthen links between science and policy and to stimulate and enhance the quality of debate. In addition to original research work, the journal features editorials, commentaries, review, letters and books review, theoretical, research papers, state-of-the-science reviews, descriptions, research on addictive behaviors to evidence-based clinical practice. The aim of the journal is to promote recent developments in the field of addiction and criminology through sharing of the ideas, knowledge and good practice across the globe. Addiction and Criminology aimed at worldwide dissemination of research developments. The scope of journal is broad and inclusive, embracing the wide diversity of thinking with criminology and various types of addictions. It provides a forum for the exchange of ideas regarding the various factors associated with crime and delinquency. Its cross-cultural aspects strive to inform criminologists, counselors, forensic psychologists and psychiatrists, policy makers and allied professionals about the latest research from across the globe. Addiction & Criminology journal publishes topics which are not limited to Abstinence, Alcoholics, Addiction Treatment, Addictive Personality, Agonist, Antagonist, Caffeine and Nicotine Mental depression. Drug addiction including drugs like:cocaine, heroin, marijuna, methamphetamine and nicotine use and dependence. Gambling, Drink and drive, Violence, Suicide, Law enforcement but many more. Studies on various criminological theories are offered, including research on the possible neurobiological factors that may be at the basis of crimininal behavior and high quality contributions from other relevant areas will also be considered.